Everyone wants an upgraded version, where entertainment sources are boundless. But how often do we get software that easily gets updated? Well if you are a Kodi software user than you are darn lucky, as updating the latest version of the Kodi 17.6 to an 18 Leia on Fire stick is now much more easy. 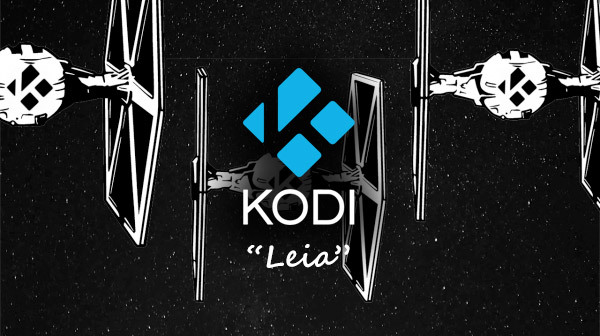 Here are some easy steps for you to update your Kodi software version of 17.6 Krypton to 18 Leia on your Fire stick. But remember before anything you have to set up your Fire stick first and make it ready for an update. Go to the Fire stick’s setting option- Device- developer options. If you see the option of unknownsources than make sure you turn that on. Take a step back and go to Settings option again and choose the Applications option- now tap on Collect the App usage data and turn it off!. Now once you have all prepared your fire stick to get updated you have to go for the final update of the Kodi software on your fire stick. Now go to the menu of the fire stick, you will find the option of Search and now type ES file explorer. After it appears on your screen tap on it, and install it. Once installed make sure you open it and check the very left side of the menu bar, you have to navigate to the Tools option then Download manager. After this you have to type “Kodi176” in the “Name” box. Now click “Download Now”. Now you have successfully downloaded the kodi and we have to move to the final step. When the update file pops up on the screen click on the option of open the file and then select the Install. If you have done everything correctly you will see a message on your screen which says that do you want to install it with an upgraded version. FINALLY! You did it your Kodi app on fire stick has now been successfully updated. If you want to check that everything has happened successfully than now you have to launch Kodi and go to the settings option and then System info after update your kodi you no longer get kodi no stream available error, after this you can see the upgraded Kodi version right on the bottom of the screen. I hope I have solved your queries, using Kodi with an upgraded and better version is like a boon, and now you can follow the above mentioned steps and upgrade the Kodi on your fire stick as well. Even if after all this information you have any doubts then do let us know, we will answer and resolve all your issues regarding the Kodi upgrade of 17.6 to 18 on your Leia Fire stick.